When I import the AVI file to clip bin, that file won't show there and Camtasia show me some windows like there is not supported file, or we are unable to find this codec, please help, I installed camtasia on PC and NTB ... on PC it didn't work too, but i restarted it and its working perfectly, on NTB its still not working, please help. To get better output video/audio quality, you can also flexibly change the output profile settings such as video codec, resolution, bit rate, frame rate or audio codec, bit rate, sample rate, channels, etc in the program's profile settings window. 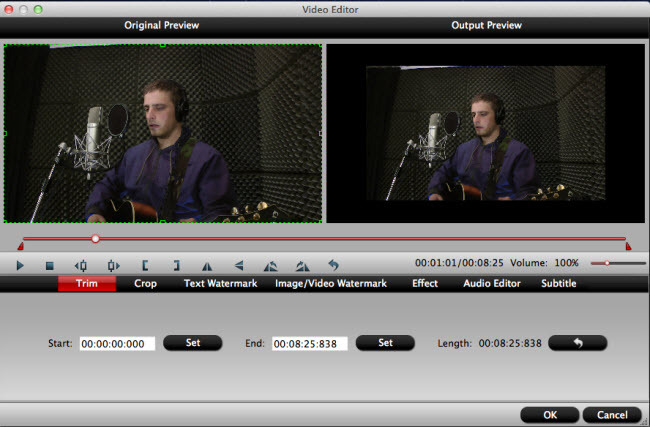 Besides AVI, you can also use the program to convert other unsupported file formats such as MP4, MOV, MKV, FLV, MPEG-2, 3GP, RMVB, AVCHD, MXF, H.265, etc into Camtasia Studio compatible editing formats. 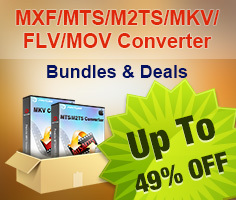 Besides the basic conversion function, the program can also acts as a perfect MP4 video editor which enables you to trim or cut mp4 video length, crop mp4 video black bars, split large MP4 video into small clips by file size, count or length, merge separate MP4 video into one file, deinterlace interlaced mp4 video, add video/image/transparent text watermark to MP4 video, apply special rendering effect to mp4 video, remove/replace audio in mp4 video or add external subtitle to MP4 video, etc. Run the program on your computer and click "File" > "Add Video/Audio" or "Add from folder" to add unsupported AVI files into the program. 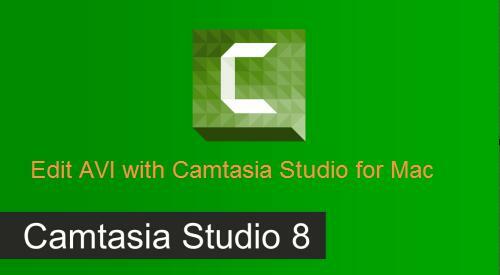 Step 2: Output Camtasia Studio for Windows supported editing formats. 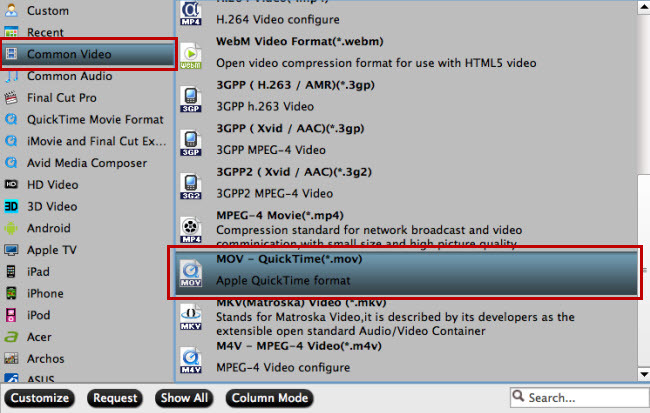 From the pull down menu of "Format" , then you will be able to select Camtasia Studio for Mac best compatible editing formats "QuickTime "MOV - QuickTime(*.mov)" under "Common Video" main category, you can aslo choose to output "H.264 HD Video(*.mp4)" under "HD Video" main category according to your own needs. Tips: Click "Settings" to open "Profile Settings" window, here, you can change profile settings according to your own needs. Step 3: Edit MP4 video(optional). After all setting is completed, click right-bottom "Convert" button to begin the unsupported AVI video to Camtasia Studio best compatible editing format conversion process. When the conversion is completed, you will have no problem to import any MP4 to Camtasia Studio for the best post editing workflow.